The West Plaza Hotel has made a commitment to contribute to the ideal of a clean and green New Zealand. Accordingly, in 2006 we established an environmental committee that meets monthly. 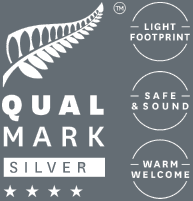 We have maintained our Qualmark Silver Enivro award for several years. It is our responsibility to the community to retain this benchmark and ensure our ongoing commitment to achieve a higher standard in environmental and social sustainability. To further our environmental pledge, West Plaza Hotel has joined the New Zealand Tourism Sustainability Commitment to help our country work towards achieving ambitious economic goals, sharing the overwhelming benefits with supportive host communities, contributing to restoring, protecting and enhancing our natural environment, and continuing to be a high-quality destination of choice for domestic and international travelers. We have also made the switch to using paper straws in City Dining & Bar. We want to join the no plastic movement to help protect our environment. The West Plaza Hotel displays our environmental policy with other key policies in the hotel, and the environmental action plan is available on request to any interested parties.